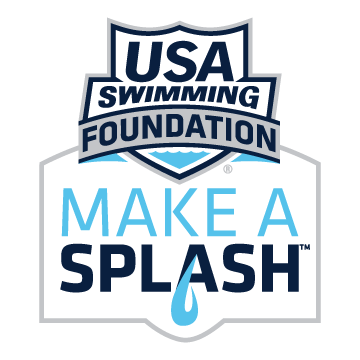 SafeSplash Swim School has launched Online Enrollment - View Classes todaY! SafeSplash Swim School - Aurora (Southlands) specializes in providing warm water, learn to swim lessons for children and adults throughout the cities and neighborhoods in the areas of Aurora, Centennial, Denver, Beacon Point, Tallyns Reach, Saddle Rock, Blackstone Country Club, Southshore, Heritage Eagle Bend, Rocking Horse, Copperleaf, Greenfield, Chaparral, Parkview, Cross Creek, Tollgate Crossing and Tallgrass. We are conveniently located at 5930 S. Gun Club Road, Aurora, CO 80016, very close to the Southlands Mall and The Home Depot. Our swim school is one of the privately owned locations of the nation’s leading learn to swim school brand, SafeSplash Swim School. As members of the Aurora, CO neighborhood, we have a deep commitment to the health, safety and well-being of the children of our community and the surrounding areas. It is for this reason that we love to teach them how to swim. We believe learning to swim is a life skill®. Beyond giving you peace of mind that your child is safe, swimming lessons give kids the opportunity to feel pride, confidence, and develop socially. Studies also show kids who are involved in swimming perform better in school, are more disciplined, and have better study habits throughout their educational career. While there are several options available for swim lessons in the Aurora area, SafeSplash lessons are significantly different. 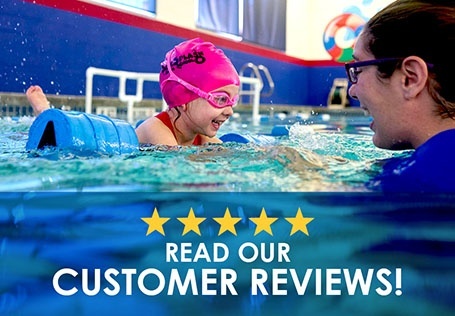 At SafeSplash Swim School - Aurora (Southlands), we have honed our focus and our ability to provide successful teaching outcomes for any age student via more than a decade of experience and over 7 million lessons, and our customers certainly agree! At SafeSplash Swim School - Aurora (Southlands), we strive to exceed your expectations every day you come to swim lessons. We offer a positive, fun experience to our students with the ultimate goal of helping them become safe, happy, confident, lifelong swimmers. We look forward to seeing you at the pool! To contact us for more information, a tour of our school or a trial lesson, click here for our contact information. Please email cberens@safesplash.com for more information. To register please call (303) 625-9914. See below for call center hours of operation. Call (303) 625-9914 for lesson times!